Resident Evil Archives: Resident Evil was released on the Wii on June 23, 2009 with a MSRP of just $29.99. The game was developed and published by Capcom, and received an ESRB rating of "Mature", with "Blood and Gore, Violence" listed as content for parents to be aware of. A brief portion of the game's description reads, "Resident Evil Archives gives Wii gamers the opportunity to play classic Resident Evil games they may have missed at a great value price. Experience the beginning of the Resident Evil saga with the remake of the game that started the survival horror genre, Resident Evil." How many hours have Wii owners spent exploring the horrific mansion in Resident Evil Archives: Resident Evil with 665 days spent at the mansion? Let's take a look! 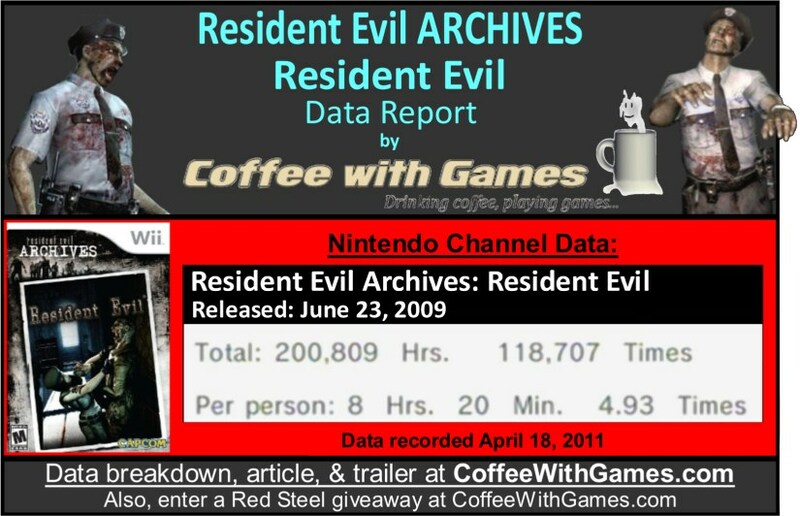 Resident Evil Archives: Resident Evil has 24,078 Wii owners reporting game-play data, through the Wii's Nintendo Channel with days reported. The game saw an increase of approximately 108 new Wii owners reporting game-play data, in the 7 days from April 11 through April 18. 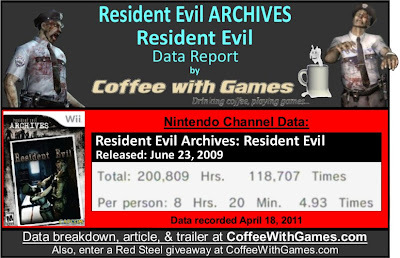 Resident Evil Archives: Resident Evil has 200,809 Total Hours of game-play reported, with its average play-time being 8 Hours 20 Minutes "Per person" reporting data. The game's average play-time per session is just over 1 Hour 41 Minutes. Resident Evil Archives: Resident Evil's "professional" review score average is 73.43%, based on 7 reviews on GameRankings.com. If you don't know, Resident Evil Archives: Resident Evil isn't the only "remake" or "port" of an older Resident Evil game on the Wii. Resident Evil 4 is probably the most popular one, but Capcom also ported over Resident Evil Zero from the GameCube, calling it Resident Evil Archives: Resident Evil Zero. If you're wondering, "Interesting post, but why now?" Well, I started working this post, with the banner and images, about 4 weeks ago. Originally, I was going to publish this story up on March 30, which was Resident Evil's 15 year North American anniversary, but with school and my schedule, I didn't finish it in time. I remember when Resident Evil was re-made for the GameCube, as I purchased it the day it released. When I got home with the game, I put up an old bed sheet over my window to "Set the mood", so I was playing the game in a dark setting, even during the day. I really enjoyed the game on the GameCube, and even recall a specific moment where I "jumped" with fright, while playing the game. If you have never played a Resident Evil game, and are wondering if they would interest you, the trailer below may give you a good idea. While the trailer does show game-play elements, and some spoiler scares are in the trailer, I think it sets the right atmosphere of the game. As for the data, I'm actually surprised the game is as low as it is in "Total Hours" reported, and hours "Per person" reported. I figured with its price being only $29.99 when it released, as well as having multiple endings, the hours reported would be higher in both of those categories. Have any of you played Resident Evil Archives: Resident Evil on the Wii? If so, what do you think about the game, good or bad? 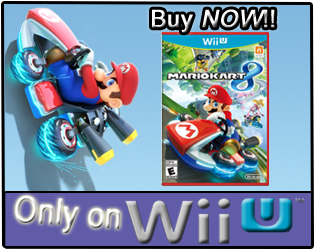 With seeing the game on sale on Amazon.com for under $20 with shipping, is it a game you would recommend to other Wii owners? If you haven't played this Resident Evil game, do you happen to have a favorite game from the series? "If you haven't played this Resident Evil game, do you happen to have a favorite game from the series?" I can't say I have a favorite from the series, but I did really enjoy Resident Evil on the GameCube, and I also really enjoyed Resident Evil: Code Veronica on the Dreamcast. I purchased and beat Resident Evil 4 Wii also, but it didn't feel very "Resident Evil" to me. While I enjoyed it, I didn't think it was a good fit for the Resident Evil series...not sure why. This series really needs to return to its horror roots. RE4 and 5 were awful action games, with barely a hint of fear. I still reckon REmake on the GC was the best game in this series. I'm conflicted on this series. I've played several of them over the years. I loved RE2 though when I played it recently again, was amazed at how clunky it felt (a lot of the horror games of older systems seem to feel this way though. Even the Fatale Frame series, which my wife and I loved). I have not played this particular one, nor Resident Evil 5, though I did enjoy 4 quite a bit. I didn't feel it was an awful action game; I mostly enjoyed it - but I do agree it lost a lot of what made the series so frightening before that. I am a fan of the series so I apologize in advance for the length that this comment will be. I own the original RE 1-3 games on the PS, as well as the REmake along with 0, 4 (of which I'm coincidentally playing through right now. Taking my wife through the series. :]), and Code Veronica for the Gamecube. I've played through 5 including a few spin-offs. 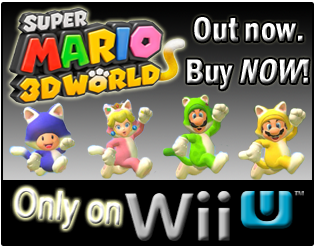 I have not played the archive version for the Wii, but would like to try it. My top 3 picks, starting with 3rd place, would have to be 4 mainly because of it's replay value. I agree about 4 and 5. They lost quite a bit in the fear department (my exception would be the "regenerator" from 4......*shudder*). Props to Capcom for trying to "evolve" the series, but lets pray they don't stick with that style. I think they're pretty fun, but, like Coffee said, they don't "feel" like RE. My number two pick would have to be RE 2. Took the formula from 1 and made a lot of great additions to that. One of the better sequels of a video game that I can remember. And my number one pick is the REmake. The PS version holds dear to my heart (you could say it is the "master of unlocking" my heart), but the remake is solid and terrifying. Arguably one of the scariest games ever. Having not played any of the RE series are there any that are particularly good or recommended for Wii? (such as re archives) I don't have anything against the series, but was mainly into starcraft and Fps's at the time. "I still reckon REmake on the GC was the best game in this series." See, being that this game is basically a REMAKE of the REmake, I would think it's pretty solid, and probably a good place to start...I don't recall the GameCube version having 10 alternate endings, which this one does, though it's been a long while since I played it. "Props to Capcom for trying to "evolve" the series..."
Very much so, I wish more companies would try new things with older franchises...Zelda comes to my mind on this. Being that you and own REmake, do you know if it had the 10 multiple endings on the GameCube? I haven't played them in order, but I'm guessing Tim can answer your question the best. Just off of the comments though, I would think Resident Evil Archives: Resident Evil on the Wii would be the place to start. As for are they rail shooters, no. The Wii does have two Resident Evil rail shooters, The Umbrella Chronicles and The Darkside Chronicles, but the other games are 3rd person, and most with fixed camera angles in the rooms you move around in. Resident Evil 4 and 5 were the first games to really give the player camera controls, at least I think so...didn't play Zero or 3, so they may have had more camera controls. Thank you all for the comments and feedback! If anybody else has any thoughts on this game, or any in the series, feel free to join the conversation! I haven't played any of the Wii ones, though it's my understanding that a couple were on-rails shooters similar to Dead Space - extraction. The older RE games weren't. The earliest in the series were survival games. Solve puzzles, manage ammo and healing - good, creepy atmosphere. The later versions have turned into more action-oriented games, and while they score fairly well and I haven't minded them, they lack some of the fright factor of the early releases in my experience. My wife and I like horror games - we really got into a few of the RE, Silent Hill and especially Fatal Frame games, but they definitely don't suit everyone. The earlier versions often had really clunky controls imo. I think Zelda is stuck in the past as well. Twilight Princess is what Windwaker should have been imo. Both, I think, are sweet games, but I hope they change it up for Skyward Sword. As for multiple endings for the GC REmake, I am unsure. I do know there are variations based on certain actions, but I personally cannot confirm 10 endings. Might be something my completionist nature should look into. I would start with REmake for the Wii. That way, if you don't really care for that style of gameplay, then you shouldn't feel obligated to get caught up with the rest of the series. But the first was such a strong pioneer of the genre and has the most memorable moments. If you find that you want to play the others, I would stick with the numbered games (RE:2,3,0,4,etc.). The original PS versions of the games might be hard to land. GC only ported 2 and 3, so the transition from the REmake might prove to be a tad difficult. Like Chalgyr said, the controls are a bit primitive and will feel stiff. The Silent Hill series is the only set of games I've played that actually stress me out. I only rented Fatal Frame 1 and 2 a long time ago, but I am in the market to pick them up again. From what I remember they gave me the creeps. My wife and I in particular liked the Fatal Frame series - we bought and played through 1-3 and were bummed when the plans to bring one to the Wii in North America got scrapped. The mechanic that made Fatal Frame stand out from the other horror/survival games of that time was the camera/first person mode that you went into for 'combat' - it was a pretty cool (if occasionally frustrating) way to ramp up the suspense. I loved the RE series. I'd have to say my favorite would be RE2 for the PS. You could play through it twice and see how both characters stories matched up. And I liked the fact that RE2 and RE3 were happening at the same time (Someone correct me if I'm wrong, but that's how I understood it to be). "I haven't played any of the Wii ones, though it's my understanding that a couple were on-rails shooters similar to Dead Space - extraction." Yea, those were Resident Evil: The Umbrella Chronicles and Resident Evil: The Darkside Chronicles. "Both, I think, are sweet games, but I hope they change it up for Skyward Sword." I do also, but from what I've seen/heard, it just sounds like another Zelda game with a similar story/setting...though the fighting aspect looks nice, with WM+ seemingly helping the game have more strategy when fighting. "P.S. Play with the lights off. :)"
Haha, I don't know if you saw the line in the post, about me hanging a bed sheet over the window so my room was dark, even during the day...but it's the way to play I think. I haven't played Resident Evil 3, so perhaps I should look at that one next in the series if I start it back. Not sure about RE2 and RE3 happening at the same time, somebody else may know. Thank you all for the continued conversations!